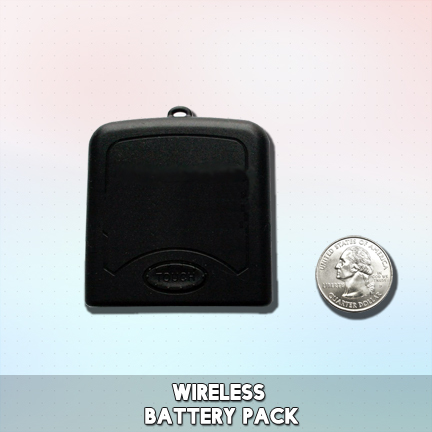 We have three different battery pack models: Sound activated, automatic, or wireless. They are all interchangeable so you can always buy an extra battery pack and plug it into your shirt. See below for more details about how each one works and what option will be the best for what you need it for. The sound activated battery pack lights up exclusively to sound and music, similar to an equalizer. It doesn’t have to be an equalizer. There is a tiny microphone in the battery pack that detects noise. This option is best for concerts, or where there is a lot of noise. There is an ON/OFF switch on the battery pack and a dial to adjust the sensitivity if it is too loud or quiet. If you are standing close to a speaker you would want to turn the sensitivity down so it lights up with the beat of the music. This battery pack takes 2 AAA batteries ( not included). 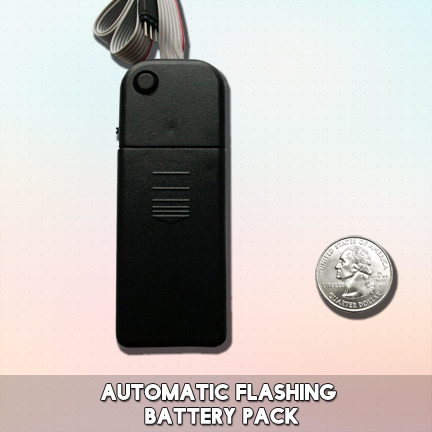 The automatic battery pack doesn’t need any noise or sound for it to light up. Simply turn the battery pack to “ON” and the panel will light up in 5 different sequences. You can push the button on the top left of the pack and make it light up in 5 different ways. You can press the button to change the way the shirt lights up. If the shirt is set to “AUTO” it will randomly light up in all five ways. This battery pack is best for most situations where there isn’t going to be constant noise and you still want your shirt to light up. This battery pack takes 2 AA batteries ( not included). The wireless battery pack is great if you want to get the panel only without the t-shirt. 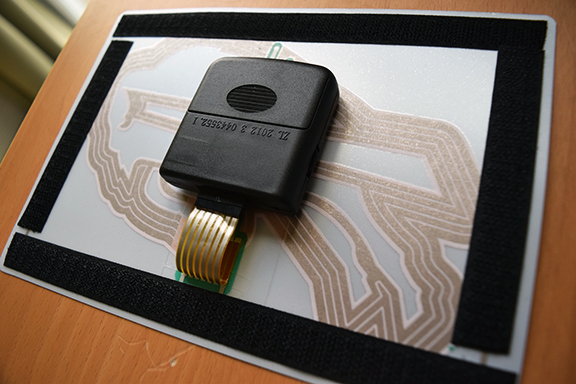 It attaches to the back of the panel as one piece. You can attach a lanyard to the battery pack so you can wear the light up panel around your neck. This pack is also good if you want to velcro the panel yourself to your t-shirt. There is no need for a pocket or a sleeve in the shirt if you use the wireless pack because it will sit on the back of the panel. 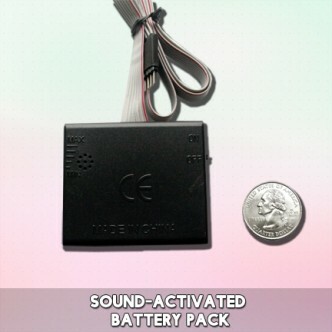 This pack uses 2 AAA batteries and is sound activated only.